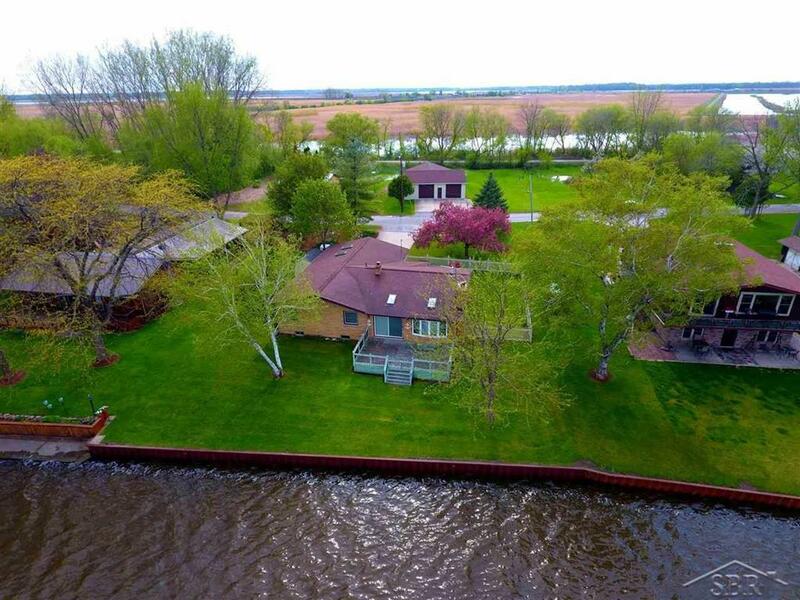 Here is a rare opportunity to own an amazing Saginaw riverfront home. Watch the freighters, fisherman and pleasure boats go by from your own 100 feet of frontage. Steel seawall installed in 1996. These properties rarely hit the market. Home sits high and dry with a partial basement! Add to this amazing property two pole barns (attached) to store your boat, RV, motor home and vehicles! This spacious home offers 3 bedrooms, master with attached bath, spacious living room with wood burning fireplace overlooking the river. Formal dining and galley kitchen. Original garage has been converted to a huge family room! You'll love the space and possibilities. Property encompasses 0.799 acres. Rail trail is at the back of the property. Don't let this one go by, if you love the water, need a pole barn and a spacious family home, this is the home for you!